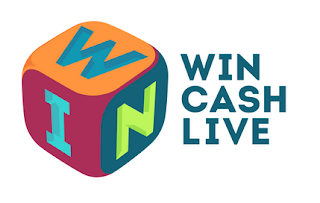 Win Cash Live arrives on more TV screens tonight as the new interactive gaming slot arrives on STV, STV Edinburgh and STV Glasgow and a number of local TV stations in England alongside its existing slot on Showcase TV via Sky 192 and Freesat 402. The interactive gaming show, which broadcasts from the old bid TV studios, features teleshopping favourites Andy Hodgson and Sally Jacks. Viewers will be able to participate via a premium rate telephone number. Games include "Spin Cash Live" and "Win Cash Dice" and games based on popular TV shows. STV will show Win Cash Live from midnight for viewers in Central and Northern Scotland. City TV stations STV Edinburgh and STV Glasgow (Freeview channel 23, Sky channel 117, Virgin 159) join the show at 11pm. Win Cash Live is also available for an hour starting at midnight on Freeview channel 8 via local TV stations Bay TV Liverpool, Big Centre TV (Birmingham and the Black Country), Estuary TV (Grimsby, North Lincs and E Yorks) as well as on Latest TV (Brighton and Hove).